Listen for the "click" sound to make sure the USB port is completely slid into place! Universal compatibility USB 2.0 and the capacity is 8 GB. 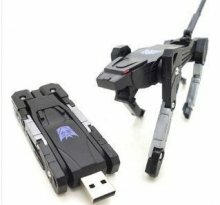 It transforms from flash drive to leopard in seconds. This is a premium drive features true capacity and reliable storage. 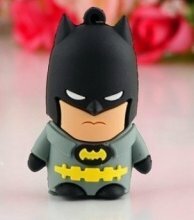 1 Year product warranty, USB 2.0 Flash Drive. 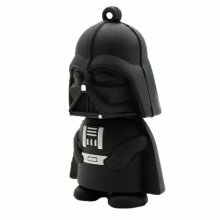 Cute Star Wars USB flash drive is a great gift for Star Wars fan! Plug and play, immediately transfer files, no software installation required. 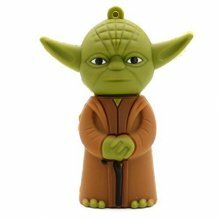 USB flash drive, made of high quality silicone environmental material, cute Yoda design. It's also a good idea of gifts for kids or any Yoda Fan! 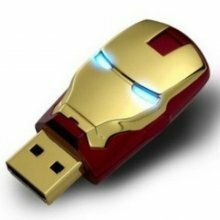 Make history in this super fashionable Iron Man USB flash. Eyes will light up when plug in. Compatible with USB 2.0/1.1, Windows ME/2000/XP/Vista/CE3.0/Mac OS. USB Flash Memory Drive, easy plug and play installation. Interface: USB 2.0 with the capacity of 8GB. Compatible with Windows 7, Windows XP, Windows Vista, Mac OS 10+ and Linux.